How Do NFL Players Make a Difference? They Donate Their Cleats. In addition to special-ed students’ artwork and the sound of swing-era music, those visiting the Kids’ Cafe 2019 in downtown Fresno are greeted by another treat. Custom-designed cleats from Detroit Lions cornerback Andre Chachere. Chachere, who starred at Clovis West High School, donated his cleats to the cafe as part of the NFL’s My Cause My Cleats campaign. 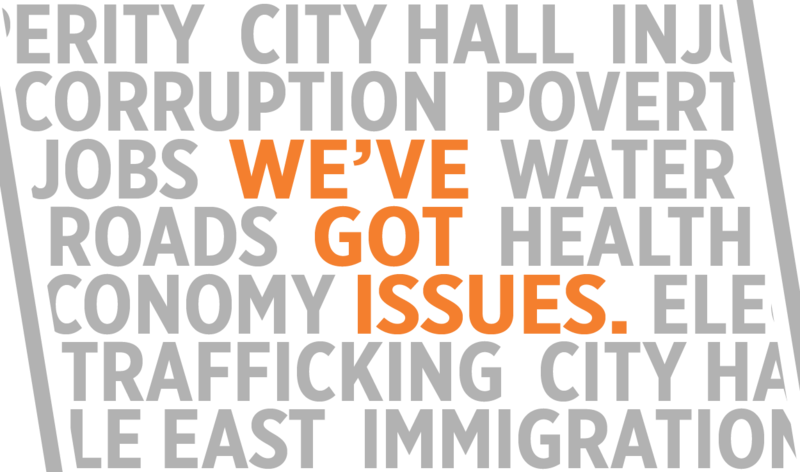 The initiative is a collaboration between the NFL and its players. It gives players the opportunity to auction off a pair of their custom-designed cleats with 100 percent of the proceeds benefiting a charity or cause of their choice. Last season, more than 800 NFL players showcased causes that are important to them with custom cleats during Week 13 games as part of the campaign. 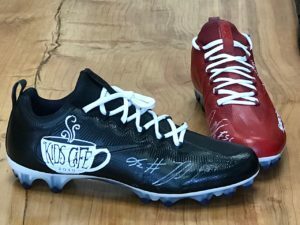 However, instead of auctioning his cleats, Chachere chose to donate them to Kids’ Cafe 2019 to raise awareness about special education students, many of whom work in the cafe. Andre Chachere donated these custom-designed cleats to the Kids’ Cafe 2019 in downtown Fresno as part of the NFL’s My Cause My Cleats campaign. Cafe manager Paul Romero said you can’t put a price on Chachere’s gift to the cafe. The Fresno County Superintendent of Schools opened the Kids’ Cafe in January 2017. It serves as a classroom for special-ed students in FCSS’ Adult Transition Program (ATP) by allowing them to work and gain vocational and social skills necessary to be self-sufficient. “It is really a wonderful experience for the adult students to interact with the public and learn skills to hopefully help them gain employment,” said Lisa Birrell, the communications and public relations officer for FCSS. ATP student Alex Whitley said it was cool meeting Chachere and is happy that he visited the cafe. “It is good that he supports the people,” Whitley said. Jim Yovino, Fresno County Superintendent of Schools, said Chachere couldn’t have donated his cleats to a better place. “To have Andre represent Kids’ Cafe is really an honor for not only our office, but for every one of these kids,” Yovino said. Chachere’s mom, Romy Chachere, said seeing her son giving back to the community was priceless.